An "environmentalist" is a totalitarian socialist whose real objective is to revive socialism and economic central planning under the subterfuge of "saving the planet" from capitalism. He is "green" on the outside, but red on the inside, and is hence appropriately labeled a "watermelon." A conservationist, by contrast, is someone who is actually interested in solving environmental and ecological problems and protecting wildlife and its habitat. He does not propose having government force a separation of man and nature by nationalizing land and other resources, confiscating private property, prohibiting the raising of certain types of animals, regulating human food intake, etc. He is not a socialist ideologue who is hell bent on destroying capitalism. He does not publicly wish that a "new virus" will come along and kill millions, as the founder of "Earth First" once did. More often than not, he seeks ways to use the institutions of capitalism to solve environmental problems. There is even a new name for such a person: enviropreneur. Or he may call himself a "free-market environmentalist" who understands how property rights, common law, and markets can solve many environmental problems, as indeed they have. In light of the distinction between an environmentalist and a conservationist, "Watermelons of the World Unite!" should be the theme of the upcoming "Earth Summit" in Rio that begins on June 19. The meeting will be devoted to endless conniving about how to go about creating a centrally planned world economy (under the auspices of United Nations bureaucrats) in the name of the latest euphemism for socialist central planning, "sustainable development." This doesn't mean that the Watermelons of the World will be successful; only that they are as numerous as flies on a herd of cattle, and will never give up on their pipe dream of a centrally planned, socialist world economy, no matter how much of a nightmare socialism has been for millions of people all around the world. The watermelon strategy was announced and encouraged by one of the gray eminences of academic socialism, the late economist Robert Heilbroner, in a September 10, 1990 essay in The New Yorker entitled "After Communism." 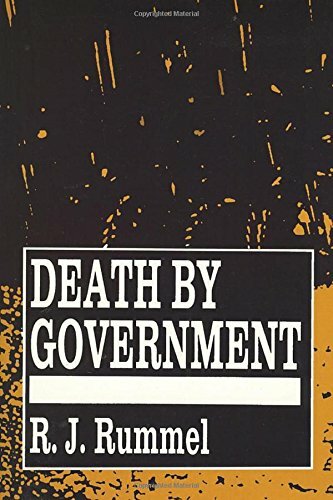 Written in the midst of the worldwide collapse of socialism, and the realization that socialist governments during the twentieth century had murdered more than 100 million of their own people as part of the "price" of establishing their "socialist paradise," Heilbroner's essay was a huge mea culpa (See Death by Government by Rudolph Rummel). 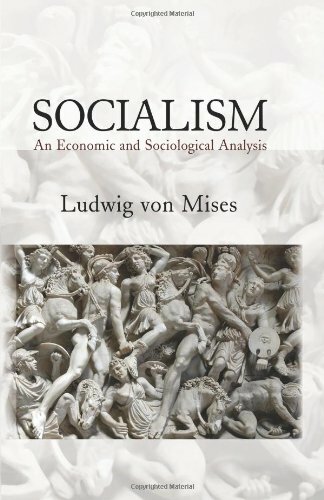 He even wrote the words, "Mises was right," about the inherent failures of socialism, referring to the writings of Ludwig von Mises in the 1920s and 1930s that explained in great detail why socialism could never work as an economic system (See his book, Socialism). After admitting that he had been dead wrong for the previous half century during which he devoted his academic career to promoting socialism in America (the veiled purpose of his The Worldly Philosophers, that made him a millionaire), Heilbroner sadly bemoaned that "I am not very sanguine about the prospect that socialism will continue as an important form of economic organization . . ." While much of the rest of the world was wildly celebrating the demise of this diabolically evil institution, Heilbroner was crying in his soup over it. Rather than facing the reality of the inherent evil of all forms of socialism, Heilbroner intoned that "the collapse of the planned economies has forced us to rethink the meaning of socialism." (Writing in The New Yorker, Heilbroner naturally assumed that all of "us" readers were socialist ideologues like himself). After all, he continued, "socialism is a general description of a society in which we would like our grandchildren to live." But "what, then, is left" of "the honorable title of socialism," asked Heilbroner. The man was obviously depressed and dejected that history had proven his academic career to have been a complete fraud, but he was not about to admit that fact, or to give up on perpetrating the same fraud that he had perpetrated for at least the previous half century. A new subterfuge must be invented, he said, that will fool or lull the public into acquiescing in adopting socialism. This might take a while, he said, and if "we" are successful, "our great grandchildren or great-great grandchildren may be prepared to acquiesce in social arrangements that our children or grandchildren would not." Heilbroner's suggested subterfuge was explained by him as follows: "There is, however, another way of looking at . . . socialism. It is to conceive of it . . . as the society that must emerge if humanity is to cope with . . . the ecological burden that economic growth is placing on the environment." "We" socialists must all become watermelons, in other words. 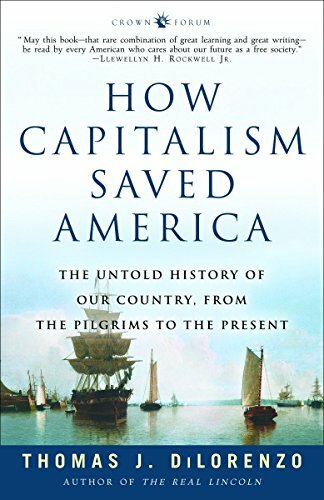 If enough members of the public can be hoodwinked with this subterfuge, then "capitalism must be monitored, regulated, and contained to such a degree that it would be difficult to call the final social order capitalism." That is exactly what will be discussed at the upcoming "Earth Summit" in Rio.